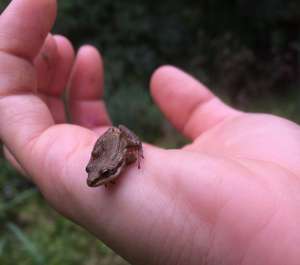 When I was a kid, frogs and toads would trip me up all the time–especially spring peepers. Heck, even as a young adult I was fooled into thinking some frog calls were birds. It didn’t look like grouse habitat to me, but hey, I was new to the area, perhaps urban grouse were a thing. Since that would have been a new bird for me, I stayed and watched for about 15 minutes…no grouse appeared. Stubborn and irritated, I refused to leave until I figured out what they were: frogs. Later I would learn that they were wood frogs. We didn’t quite have the resources back then that are available today for identification. If I wanted to know what something was I had to ask my parents (who weren’t all that familiar with the outdoor world) or rely on books. In both of those cases I wouldn’t have been able to hear what a particular frog sounds like. These days I can use apps and websites to figure out what I’m listening to. I know my neighbors think I’m nuts when I’m staring at what looks like a dead pond in the spring. The more I learn about frogs, the more I appreciate how something so tiny can be so loud. And in early spring, if the birding is slow, I like to use frogs to practice my photography. They can be challenge to find lurking along the water’s surface. 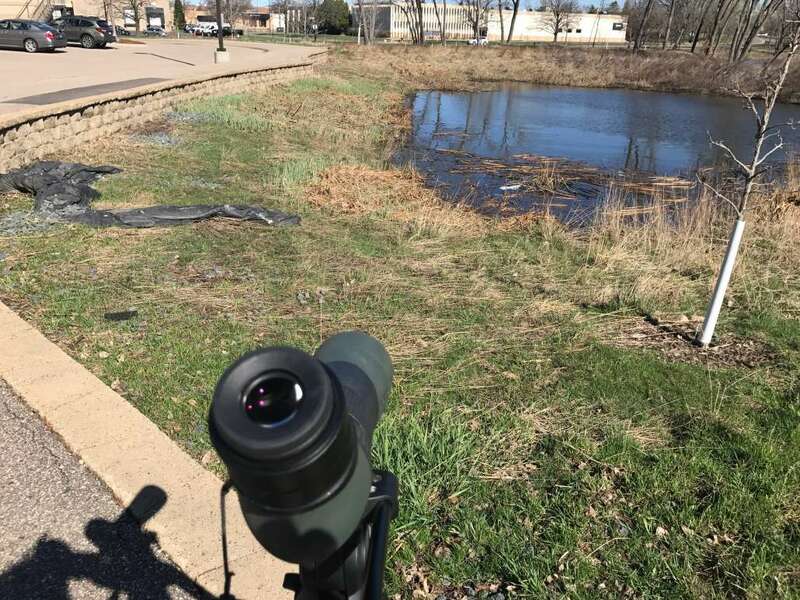 If you think about frog song timing, they sing pretty early in the spring…the goal being that they can be heard before all the other migrating birds come back and begin to sing. It could drown them out! Part of the fun of this video are all the frogs calling. Sometimes I notice that when I put my phone with the PhoneSkope case on my scope is that it can mute some of the sounds. So what I do is record about a minute of video when my phone is not attached to my scope and then use that as sound in the back of the video. It’s very easy to do in iMovie. This is a screenshot from iMovie. 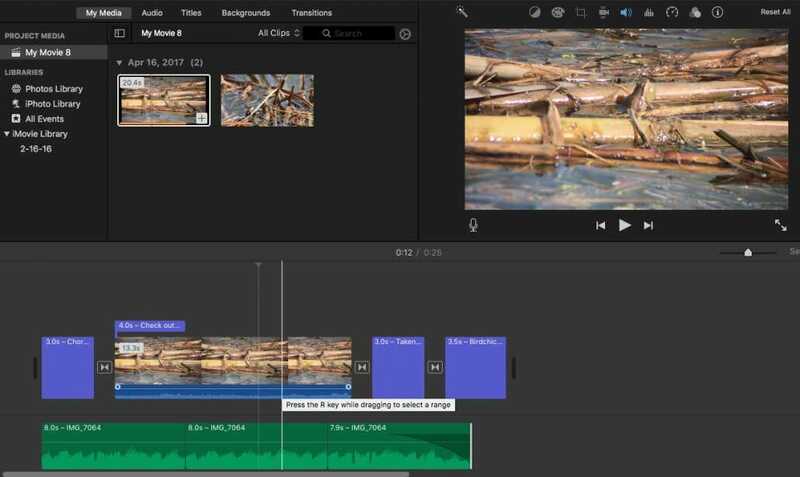 If I drag the video clip with sounds to just below the movie I’m editing, iMovie will turn it into a sound file (the green file at the bottom). You can even edit the levels to control how much sound you have. It’s a cool way t bring some sound back to your videos. 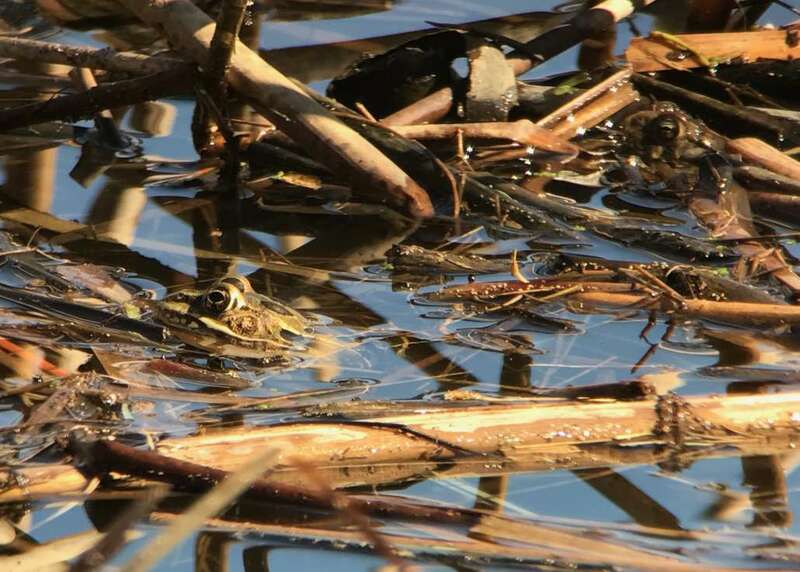 What frogs and toads will you find in your neighborhood?